As we await the last gasp of Winter weather with the impending Spring snowstorm, we wanted to remind you that the Farmers Markets will be gearing up in about a month, with vendors like ourselves preparing to bring you our best for you and your family! In particular, the Midtown Farmers Market and the Linden Hills Farmers Market both open up in May 2019. In additional news, due to the construction of buildings and a plaza for the market at its current location, the Midtown Farmers Market this year moves temporarily to a new location for the next two years while the work is ongoing. The new location will be in the lot beside Moon Palace Books on Minnehaha Avenue in South Minneapolis, about four blocks from the current site. The owners, who were once vendors at the market themselves have graciously agreed to host the Midtown Market on their property as a way of giving back to the Market. Opening day is Saturday, May 4th from 8 am to 1 pm and the market will be open every Saturday through October. Their Tuesday market runs from June through October from 3 - 7pm. 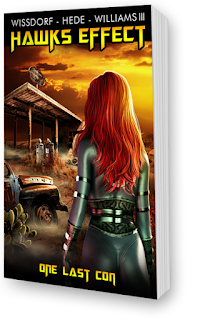 Click our link on the left side of the webpage for more information. 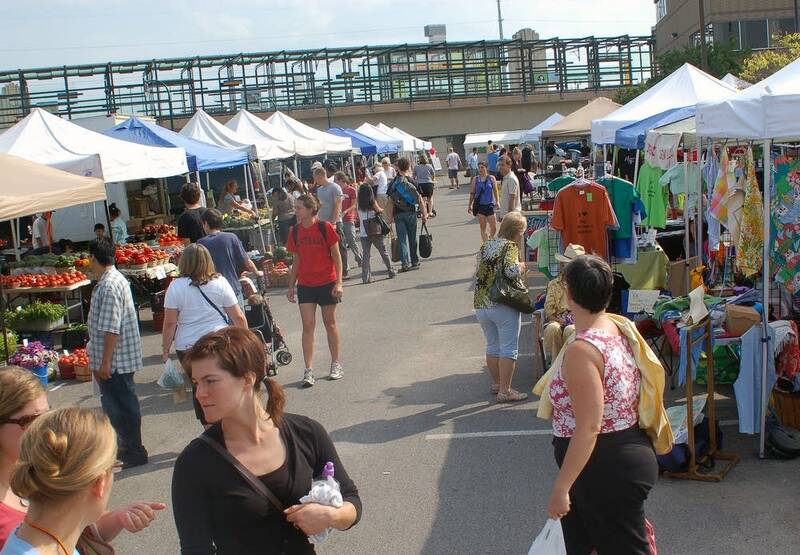 The Linden Hills Farmers Market (and Minneapolis Craft Market) located at the parking lot of Settergren's Hardware store will return on Sunday, May 19th from 9 am to 1 pm and will run every Sunday through October 27th. Again, click the link on the left side of our page for more information. We look forward to seeing you at both locations! Here's to wishing us all a happy and healthy (and snow-free) Spring and Summer season at the Farmers Markets! It seems like ages since I've made my last post, what with Farmers Market season finally on the wane, and the two of us making preparations for our Fall and Winter shows and Markets. Life has been busy for us, and we've enjoyed (and endured) a lot of living over the last few months, but as always we remain thankful for everything we've been given in our lives. 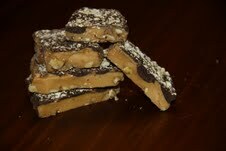 So, let's talk TOFFEE! 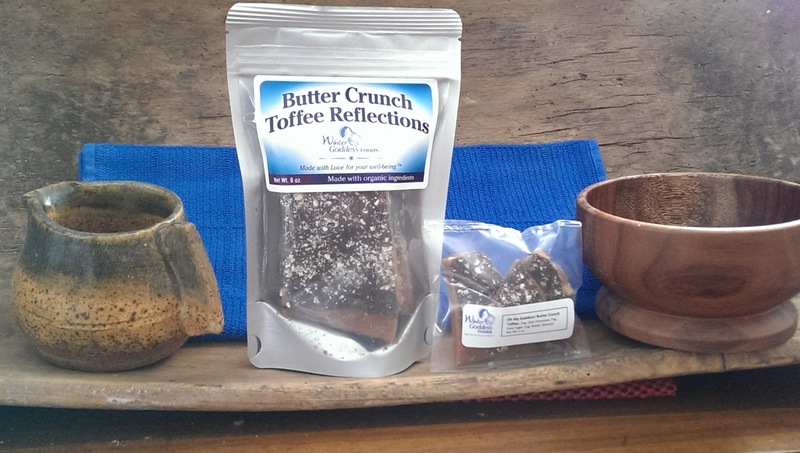 As it has every year, the cooler temperatures and low humidity of the Fall signal the time for Terry to begin anew in making her wonderful organic confection we call Oh My Goddess Butter Crunch Toffee. 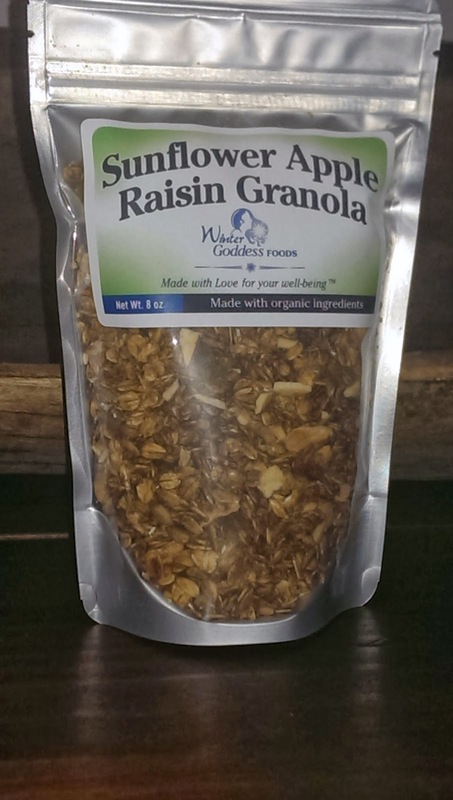 Made with organic ingredients and (as always) with Intent, this delicious treat has become quite the favorite with our fans in both the Twin Cities area and throughout the country. Some folks have actually said that it is better than their Grandma's recipe, but we suggest that YOU be the judge! We will warn you though that it tastes so good, you might become addicted. 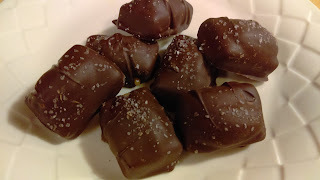 Made as a "soft crack" toffee in the tradition of the old-fashioned country store toffee, using organic cane sugar, organic condensed milk, Slave and Child Labor free Fair Trade organic dark chocolate, and Terry's loving touch, she has crafted a confection that our fans proclaim as a treat "To die for!" We constantly tell folks that "It's not our job to judge whether you should have a treat or not. 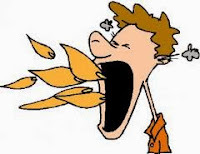 Our job is to provide you with a good one." 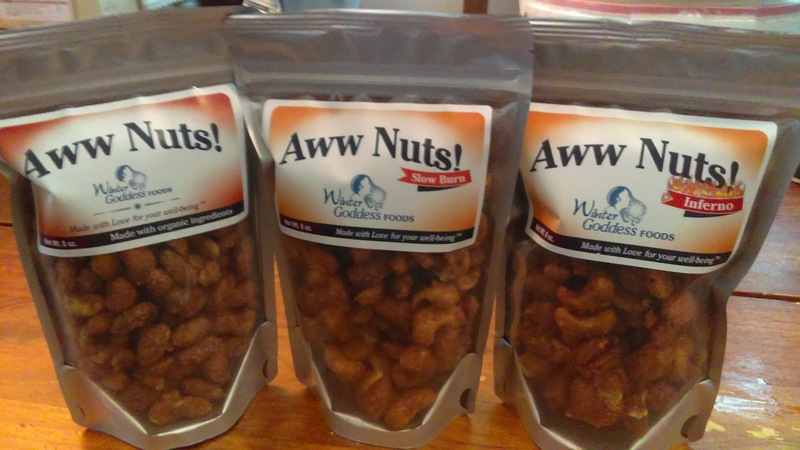 And with no artificial ingredients or chemicals ever used in our product, it is a no-brainer for anyone looking for a "clean" and great tasting, delectable treat! 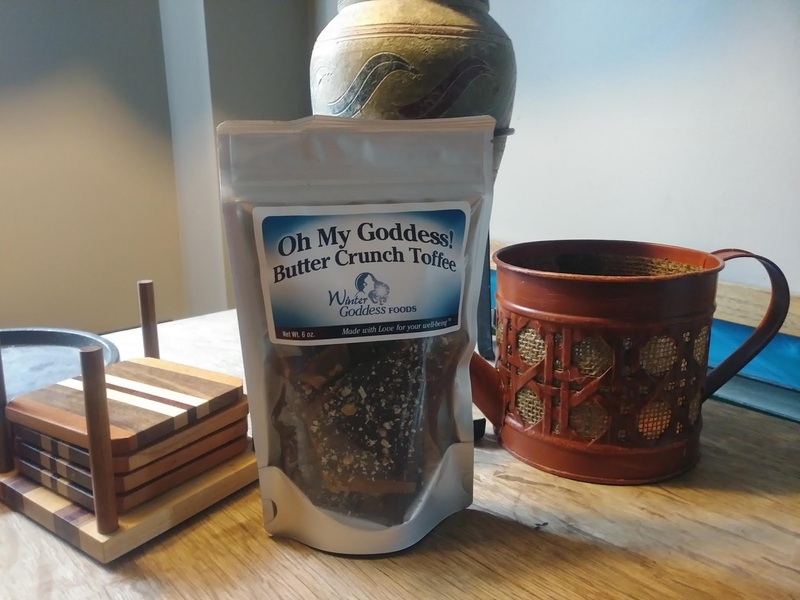 Since we are slowly approaching the Holiday Season, I must point out that our Oh My Goddess Butter Crunch Toffee is perfect for gift giving, stocking stuffers, hostess gifts, entertaining guests, or as a nice reward for yourself for whatever the reason. 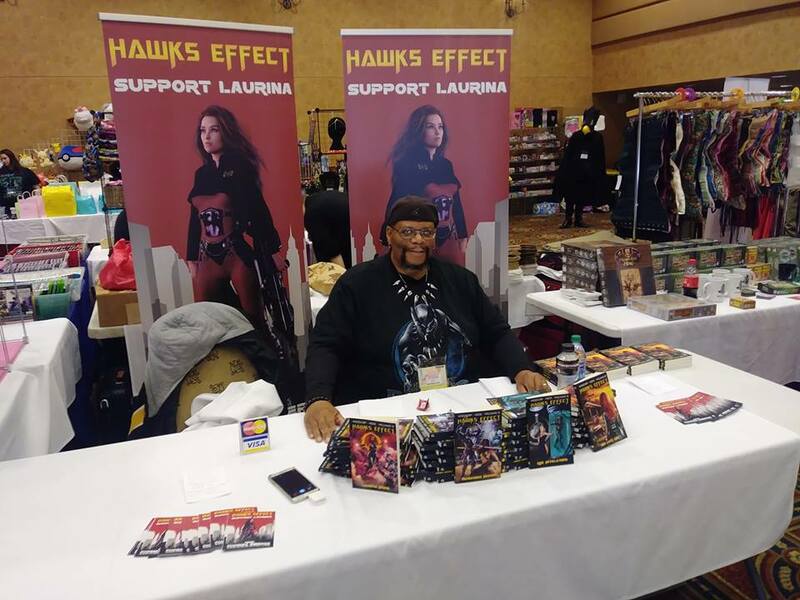 If you live in the Twin Cities area, know that we are actively shopping for stores to carry our product, but you can always head out to our many sales venues (listed on the left sidebar of this page) and pick it up from us personally. If you live anywhere else around the country, you can order it directly through our website (check the tab at the top of the page). 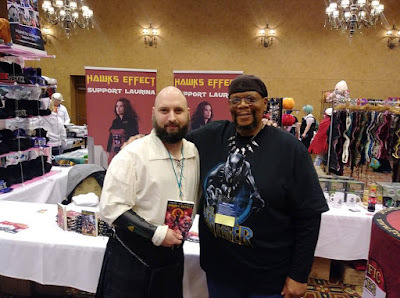 On a personal note, I was invited to Anime Fusion as a Featured Speaker this past weekend, and to tout and autograph copies of our writing team's serial novel Hawks Effect. It was a wonderful experience talking about our urban science fiction series with the attendees, and even more rewarding running panels to offer tips and encouragement to aspiring writers wanting to tell their own stories. 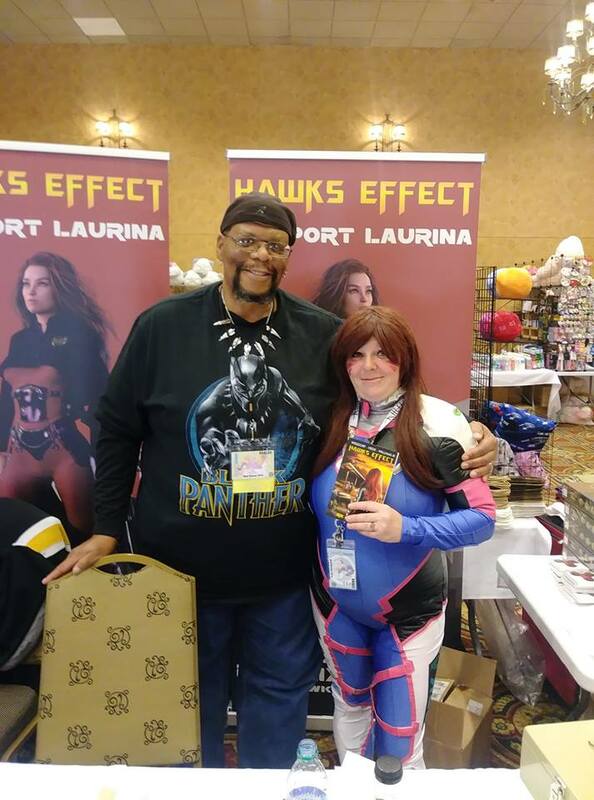 My first experience as a speaker was a roaring success thanks to our fans and the great staff of Anime Fusion. I am both encouraged and humbled by the experience, and I look forward to seeing you folks again along the Anime Con circuit. Thank you all from the bottom of my heart! Well, that's all for now. Live life in a good way, be kind to others, and always be good to yourself! Be the best YOU that you can be! After nine years of working the local Farmers Markets and outdoor shows, Terry and I have seen it all. 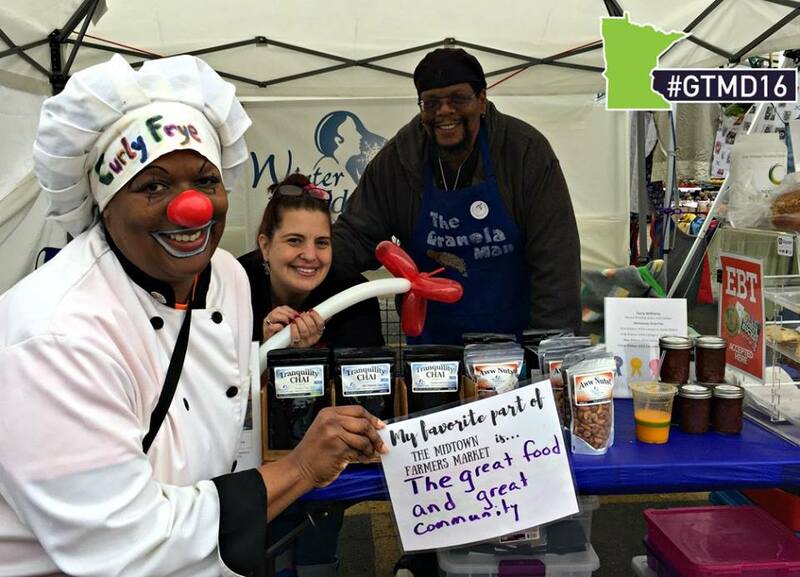 As we have evolved as vendors over the years with our tent set up, so have Farmers Market managers. The days of using large pieces of iron, gallon jugs of sand, barbell weights and other heavy items tied to a tent to hold it down are numbered, now that market managers are encouraging vendors to properly weight down their tents and to conform to a more uniform standard. More and more market managers are enforcing this standard and have gone from encouraging it to making it mandatory. 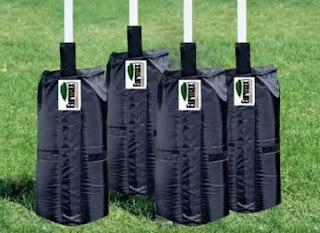 Many vendors have moved to weight bags as a solution, and although there are many ways to accomplish this, some have drawbacks. For example, filling weight bags with sand seems like a great idea in theory, and we have done this ourselves. However, we have learned over time that this is not the best long-term strategy. 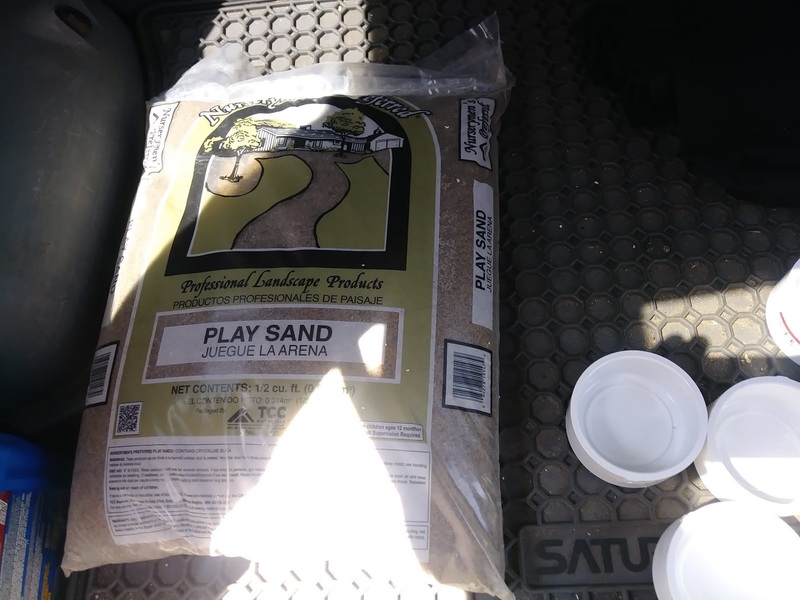 Bare sand in a weight bag eventually causes friction against the sewn seams, and after a year of use, the sand begins working its way through the bag eventually eroding the seams, causing a hole and sand leakage. In addition, rain causes wet sandbags. 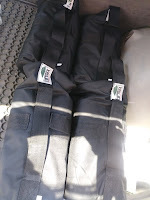 Couple this with the friction and they create dust and grit which permeate the bags making them dirty to handle and problematic when placed in your clean vehicle for transport. We also tried the novel idea of filling empty 2-liter bottles with sand and placing them in the weight bags. This worked very well for a while until the sand eventually broke through the thin walls of the plastic bottles into the weight bags, taking us back to square one. Eventually, we came across vendors who had a hardware store make weights for their tent bags which solved these problems. Their bags remained clean on both outside and inside and lasted for years of service. Last year we had weights made by a local hardware store, which were great, but the cost of labor and materials was pretty steep. 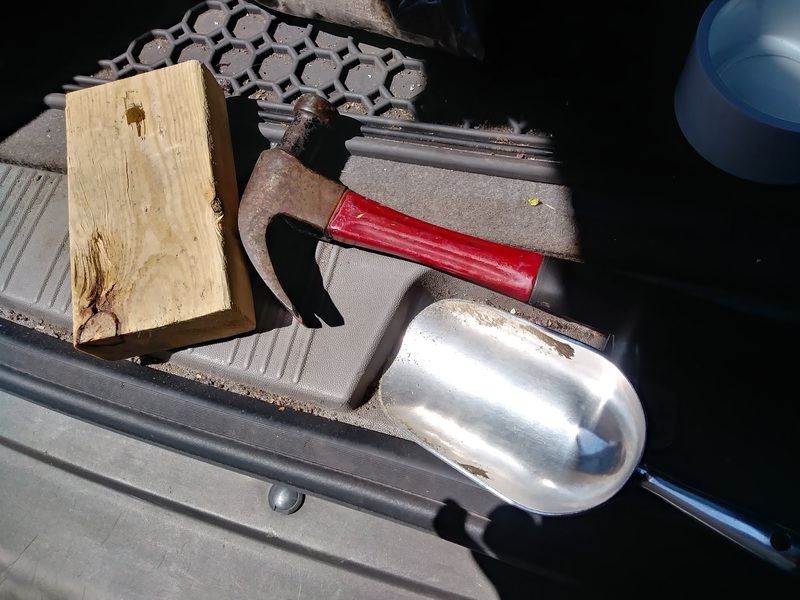 Tent weights for us are somewhat of a capital expense, and since I had to get a new set made for our second tent, I determined to do the labor myself, saving about $65 doing so. In order to give back to our fellow vendors (and anyone else who uses an outdoor canopy often), I’m gonna give you instruction on how to make these yourself and save money. 4 tent weight bags - Amazon.com offers a huge selection of zipper or velcro lined bags as low as $19 for a set of four, each with a two weight compartment. We prefer velcro over metal zippers which can rust. 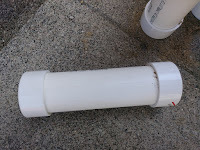 One 10 foot section of 3” PVC Pipe (around $20) – I found 2-foot lengths of PVC pipe at our local Home Depot for around $5.50 each. Since each of my weight bag’s compartments accommodate the length of one foot plus the end caps, this worked out well. 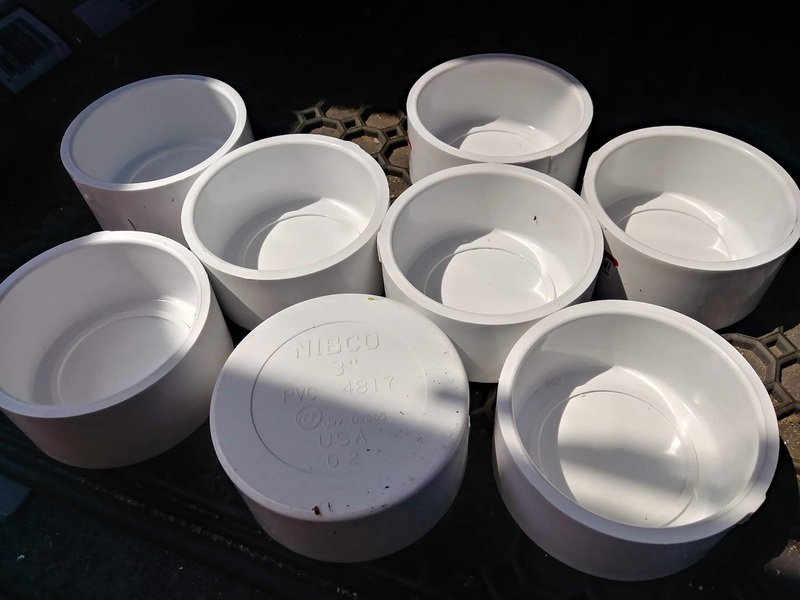 You will need 8 pieces of PVC pipe to outfit your weight bags so you can cut two-foot sections in half yourself, cut the larger pipe into suitable lengths or have an associate cut them for you (which I did). Note: While 3” thickness is standard, your bags may accommodate a wider or thinner width of pipe, so choose accordingly. Sixteen 3” PVC Pipe Caps (around $4.50 each) – (Your biggest expense) A larger local hardware store should have these in quantity, but even our local Home Depot only had so many, and I cleaned them out of their supply. You may need to go to several stores to get a total of 16. 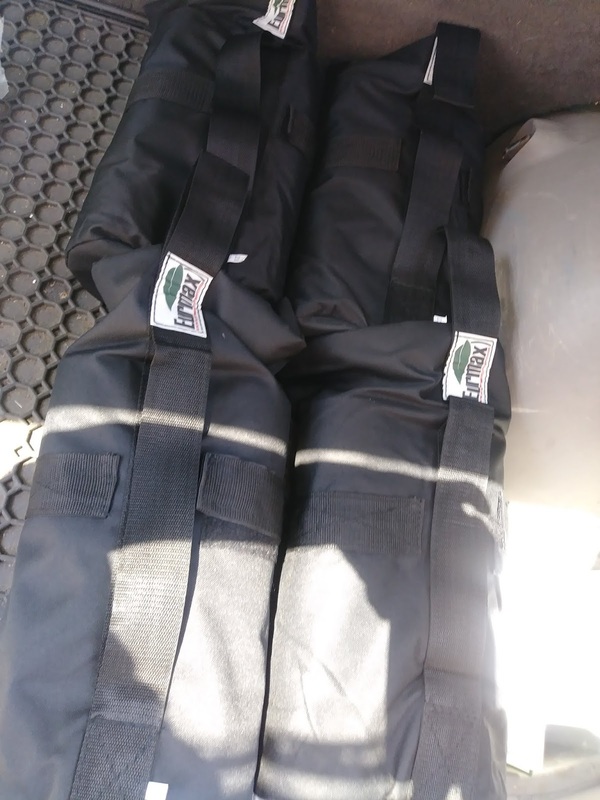 Once you’ve acquired your weight bags, measure the length of one of the compartments. You may need a foot or more of pipe depending on what bags you get. 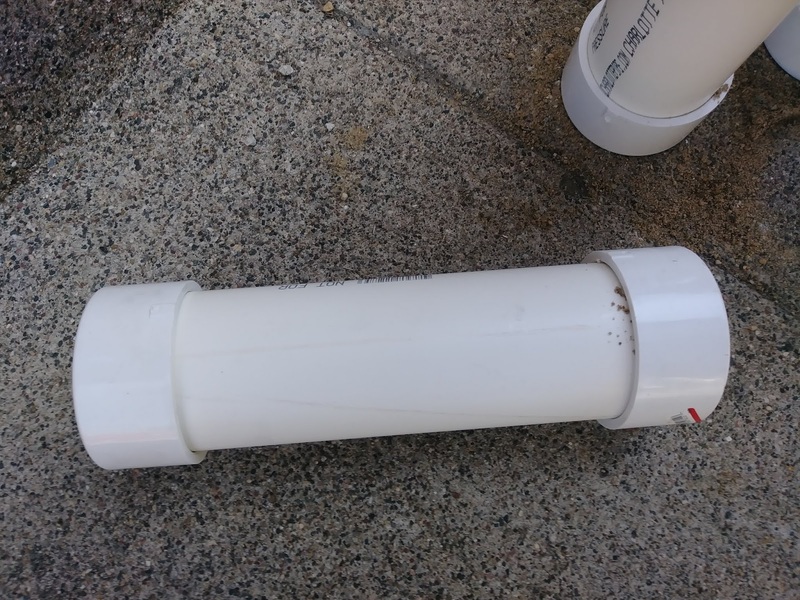 An easier way to do this is to bring one of your bags with you to the hardware store, take a smaller length of PVC and place a cap on the end. 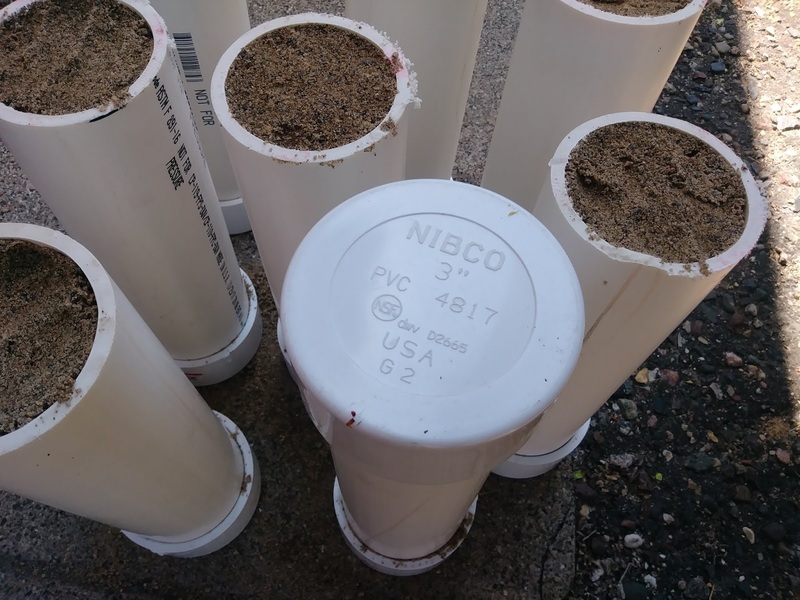 Then place the end cap and pipe into one of the bag’s two compartments and judge how much length you need, leaving enough room to close the bag securely. Most hardware stores sell 10-foot lengths of pipe, but as I mentioned above, I was able to find 2-foot lengths which could be split in half. If one-foot lengths work for you, fine. If your bags are longer, you will need to cut exact lengths from the larger piece of pipe. 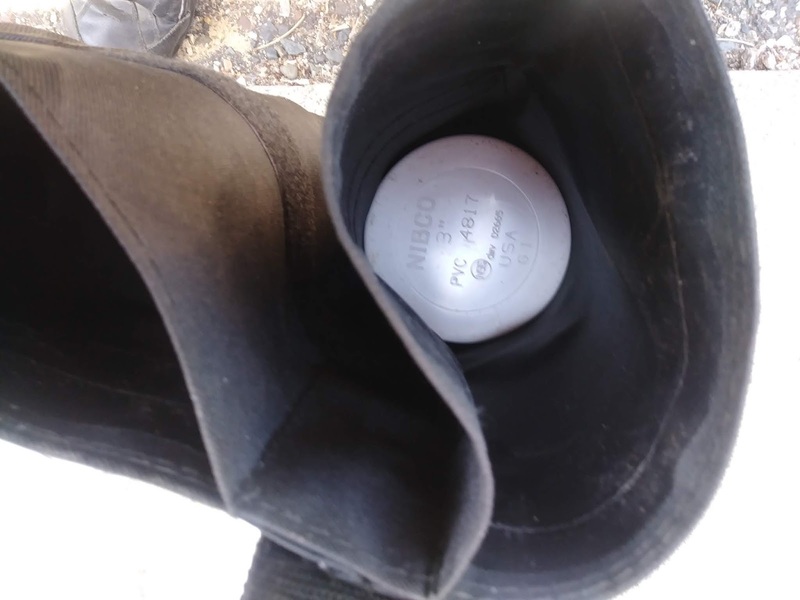 NOTE: It is very important to take the end caps in consideration for your measurements to prevent your weight from being too long to fit the bag! 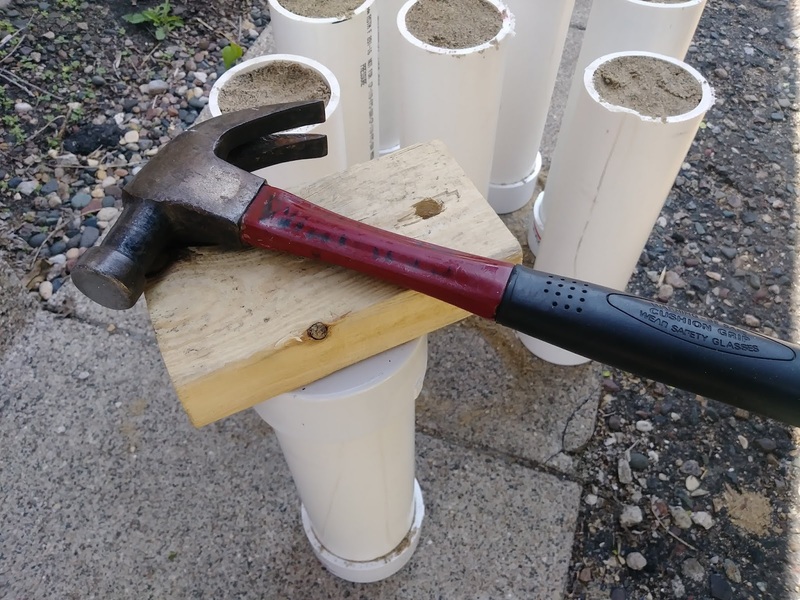 When you are ready to assemble the weights, take a length of cut pipe and place it into one of the end caps. Set the wooden block on the open part of the tube and pound it firmly into the end cap. Because of their tight fit, you will not need any adhesive to keep them secured, which saves a bit of cash. 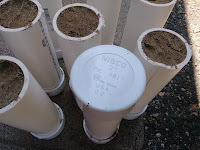 Once you have your eight tubes with end caps assembled, fill each tube with sand. Tamp the sand down with your fingers or by lifting each tube and slamming it to the ground. Place more sand in until you fill it with as much as it will take. Clean the sand off the edges of the pipe. Then place another end cap on the pipe and tap it in place using the wood block and hammer. 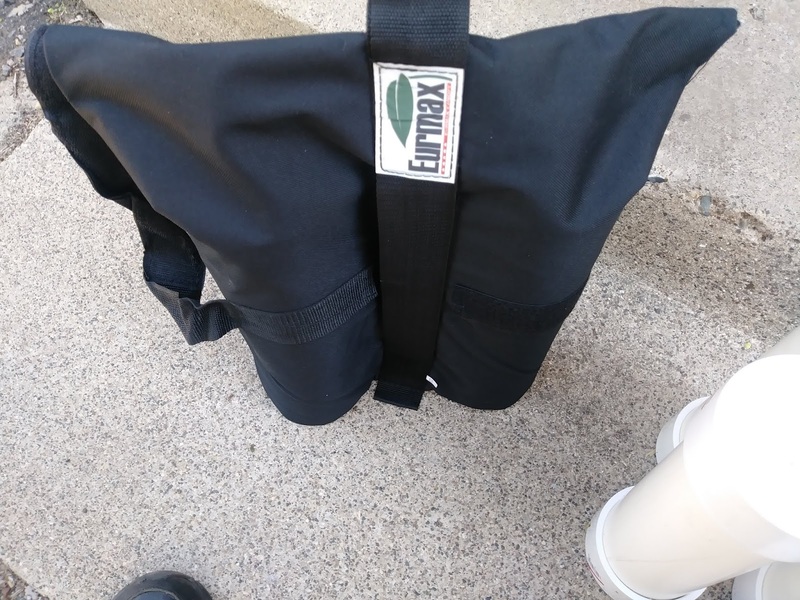 Place your completed weights into your weight bag, and seal closed with the velcro closure. While $115 is nothing to sneeze at for most vendors, the cost savings, and convenience of having permanent (and market compliant) weights for your tent/canopy make it well worth the money spent. 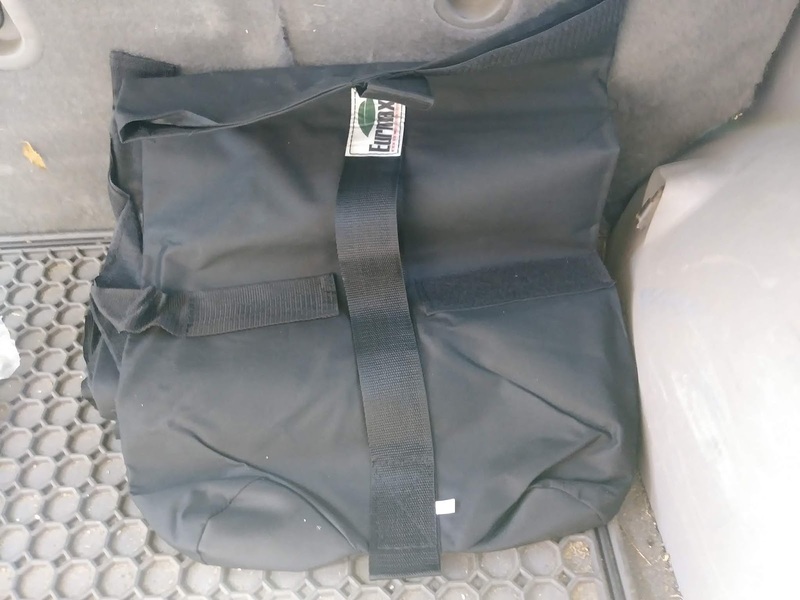 The weights themselves will outlast your weight bags through the wear and tear of the market season, and after several years of use, your only added expense would be replacing torn or worn out tent bags as needed. I hope that this simple tutorial is of benefit to you. Thank you for taking the time to read it. Be well! While it is hard to believe that Ma Nature hasn't eased her grip on winter, we certainly beg to differ. However, Spring will come, and that means the opening of Farmers Market season won't be far behind. 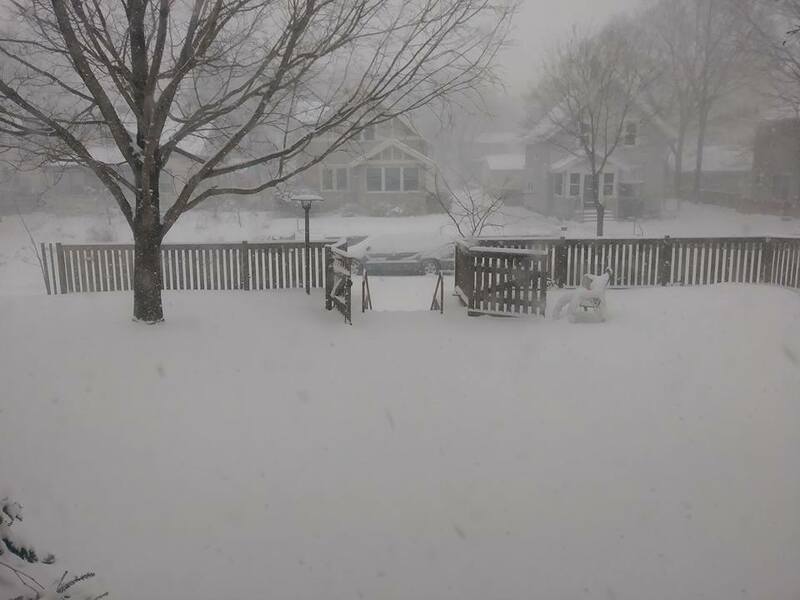 The cold and snow do give us a chance to sit down (where it's warm and comfy) and reflect on what has transpired of the course of the winter season. 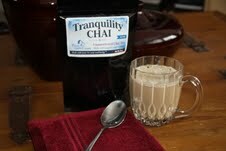 "I love your Tranquility Chai tea! At my office, I call it my adult hot chocolate. Its just the right pick me up after a hard meeting or on a day when I know I could use a little additional focus on taking care of myself." As a result of this upsurge in popularity, we have also had more interest from potential wholesale partners in the area as well. And for that, we thank you all for your support. 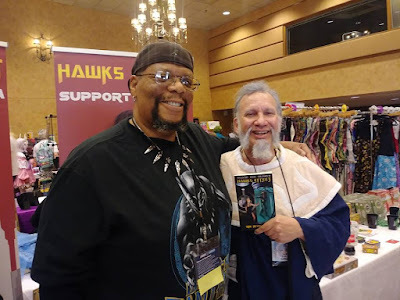 During the Winter months, Terry and I have appeared at several venues including the Richfield, Blaine and Plymouth Winter Markets. We have also participated in and were well received at the XOXO Valentine's Market at the Modist Brewing company in Minneapolis, the annual Spring Vendor Show at Rosemount High School, and a special Winter Art Fair and Flower show at the Minnesota Arboretum. 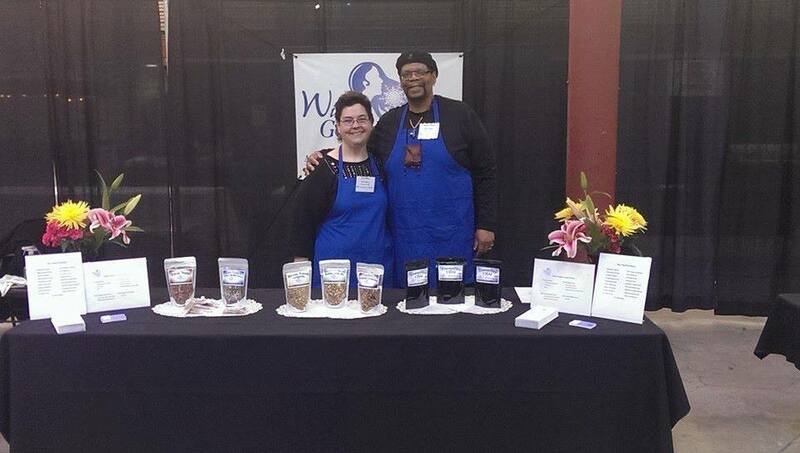 We were also pleased to supply tasty goodies for the Minneapolis Uban League's annual brunch, as well as supplying products for Home Essentials' Spring show. With everything going on in the first quarter, as well as in the business of life, I'm sure you'll forgive us for our absence from our blog! 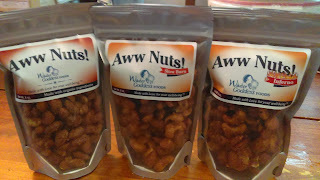 On March 1st, our long-time wholesale partner, Oxendale's Market began carrying all three varieties of our delicious Aww Nuts in their stores, in addition to our Caramel Moments and Oh, My Goddess! Butter Crunch Toffee. Oxendales makes it their business to support and promote quality food items from local entrepreneurs, and we are certainly happy to be in partnership with them. 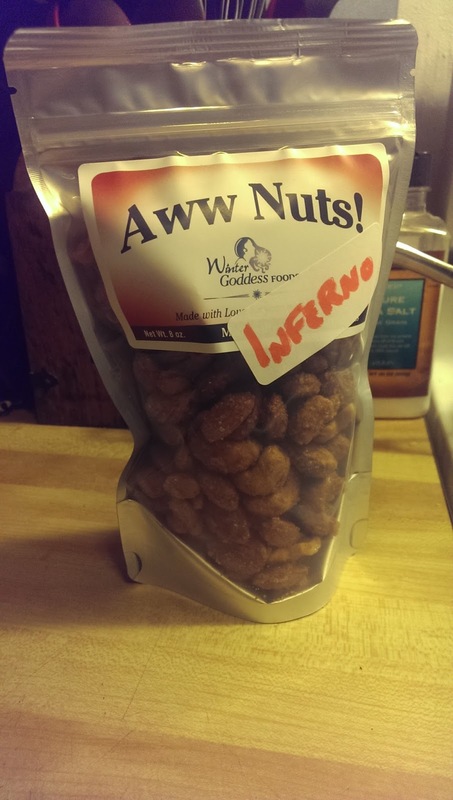 If you live in the Twin Cities area, you can find our sweet and savory Aww Nuts, our spicy Slow Burn and our even spicier Inferno and both their Nokomis location at 5025 S 34th Ave, Minneapolis and the West St. Paul store at 374 Bernard St. West. 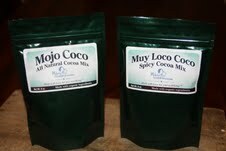 Of course, if you don't happen to live in the Twin Cities, you can also order these items and more through our website. us. As a result of our past work, it seems that our reputation of providing great, tasty food and drink items has proceeded us, in that we have received quite a number of invitations to apply to participate in new or already established markets for the new season. We are both humbled and thankful for all this attention. 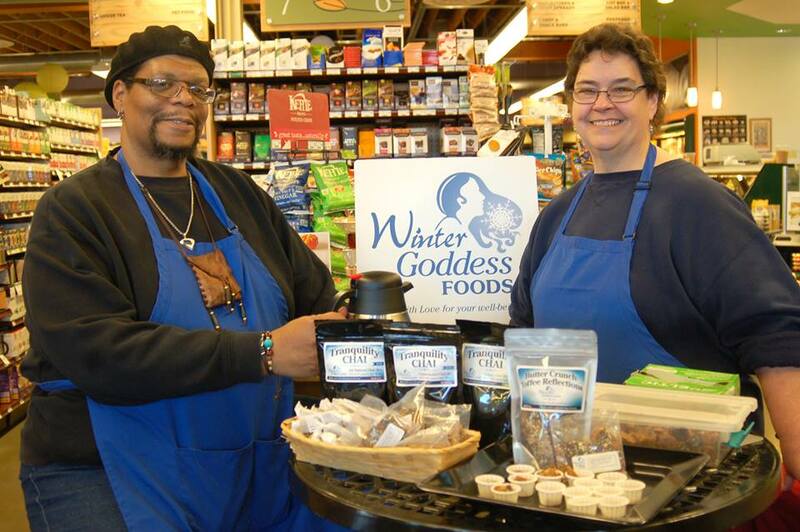 This year, we are pleased to announce that Winter Goddess Foods will be participating in FOUR different Farmers Markets. 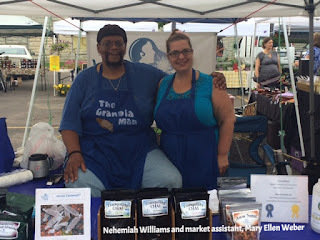 In addition to attending and displaying our products at our home market, namely the Midtown Farmers Market, we will also be including the Northeast Farmers Market on Saturdays as well. 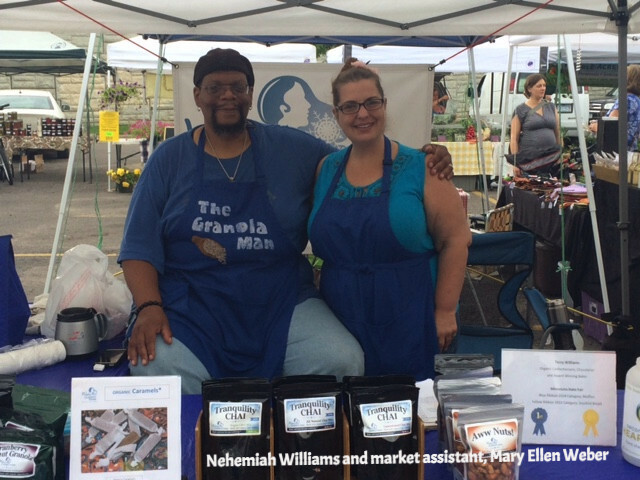 On market Sundays, we'll appear at the wonderful Linden Hills Farmers Market, as well as the Golden Valley Farmers Market, all in the Twin Cities area. We look forward to greeting old friends again and making new ones as well, once the season is in full swing. Market dates will appear in the events section of our webpage on the left. That's about it for now. Here's to health, prosperity, and happiness to us all in 2018. Stay safe, stay warm, and stay Blessed! 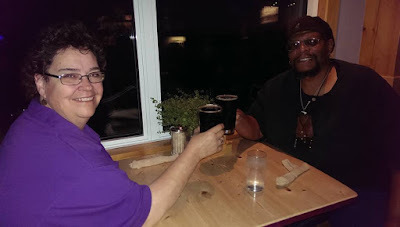 As we approach the 2016 holiday season, Terry and I want to take a moment to thank our wonderful wholesale partners, our Farmers Market Managers, and you, our followers, customers and fans who we affectionately refer to as “our Peeps” for supporting our business this year. The outpouring of love, generosity, and support that you have shown us throughout the year has touched our hearts, and sometimes just blows our minds. It is gratifying to know that we have “done you right” by producing products that combine quality clean ingredients with positive intent, that not only taste great but make you feel good inside for eating or drinking them. We are humbled by your trust in us, and your continued affirmation of that trust. 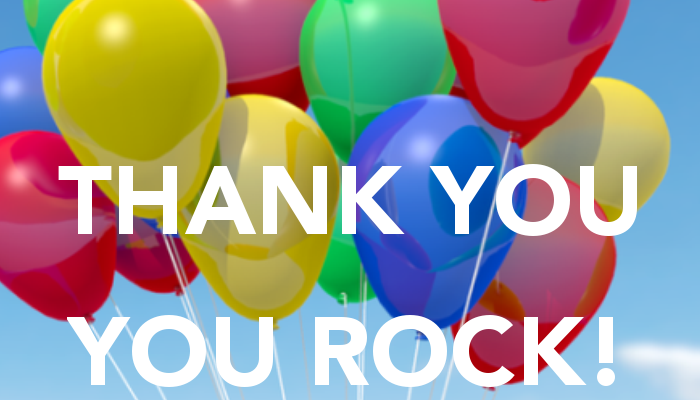 Your patronage of our company has made 2016 our best year ever! Now that the show season is over, we will be halting production of our products until the second week of January, in order to enjoy a well-deserved rest. 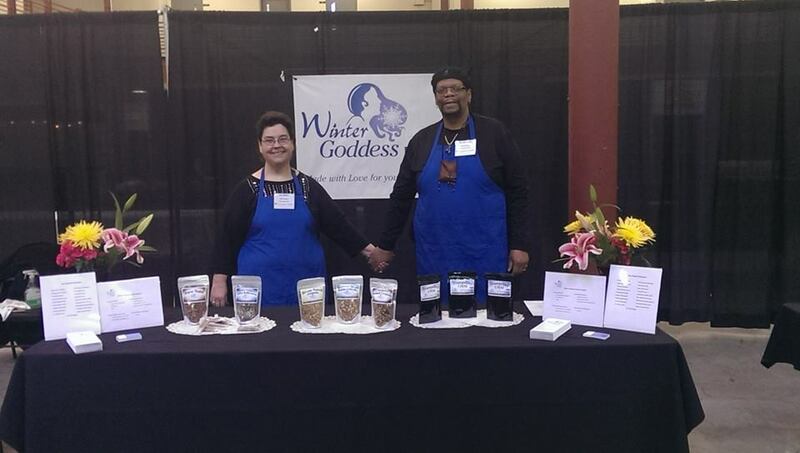 As we swing into 2017, Winter Goddess Foods will continue the mission of being good citizens in the world through our continued support of charities like Second Harvest Heartland, the Ann Bancroft Foundation, Sisters Camelot, and others. Thanks to your generosity and patronage, we were able to feed hundreds and hundreds of people, allow young girls and young women a chance to realize a dream, and do many other wonderful things for people throughout the Twin Cities. In our troubled world where times are tough for people, the only way we can make this world better is to work together to make it so. You have done this, and continue to do this, and for that we thank you from the bottom of our hearts. 2017 will mark our eighth year in business, and Terry, Mary Ellen and I are looking forward to serving you, and we will continue to live up to that sacred trust that you have placed in us. We will also continue to hold that positive mind picture of you, our customer, enjoying our products with a smile on your face and joy in your heart as we have always done. That is our secret ingredient that we liberally apply when crafting and producing delicious, clean and sustainable products that are truly “Made with Love for your well-being!”™. Thank you, and best wishes to each and every one of you for a joyous holiday season and a prosperous 2017.